For those of you who just did a double take, no--Jon and I did not have yet another wedding. We did, however, spend a few days last weekend completely engulfed in the wedding of two very close friends. I won't pretend that there weren't last minute headaches, 5-a-day trips to WalMart for extra supplies, miscommunications galore, missed details, time crunch stress, disaster area kitchens, and most other hectic events commonly experienced in today's wedding scene. But typical wedding chaos aside, this was by no means your typical wedding. Many of my thoughts in the weeks preceding the ceremony included all the traditional roles I wasn't living up to, all the responsibilities I was supposed to be helping with, and how overwhelming the remaining things to be done sounded. I felt trapped beneath the weight of culture's expectations for a wedding (including those specifically for a maid of honor). 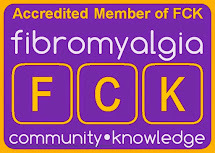 In moments of this lost perspective, my fibro reared its ugly head and tried to make me forget why I was even a part of the wedding to start with. That could have drastically affected my view of this wedding and the days leading up to and directly following it. I could have found myself sinking into the darkness and fog of comparison and guilt and wondering why God would put me in this spot of wanting to help and do certain things and then not give me the energy and power to do them. It could also have negatively affected relationships with all involved. Thanks be to God, it didn't. What I haven't told you about this wedding yet, is that both the bride and the groom were not in this wedding for themselves. This might seem odd, especially considering culture's idea of what marriage is about today, but they truly weren't. From start to finish, this wedding was not about getting the perfect decorations, finding the most breath-taking photographic angle, or getting a picture-perfect cake. This wedding party was not there to worship the bride and groom. They were there to worship Someone else. This was a celebration--grace was on display. God brought together a man and a woman who are both fallen sinners, who both struggle to trust Him with their biggest, deepest, scariest hurts. A couple who are perfectly paired to bring out each other's most drastic insecurities and weaknesses, and yet are also perfectly designed to be the method most used by God to bring about their deepest healing. What we saw at that church was not a perfectly engineered and manufactured Kodak moment or a Hallmark movie ending. It was a public display of gracious, transparent, vulnerable, risk-taking, committed, self-sacrificing love. It was a symbol of Christ taking His church with all her weakness and vulnerability and scooping her up in His arms and embracing her to himself. It was a visible reminder that in Christ, broken people are restored and healed and loved. It was Gospel. 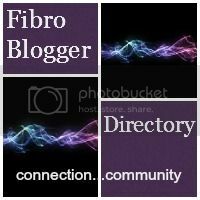 Why am I sharing this on a fibro blog? I know, this is sounding a little more wedding-ish than my normal posts, but I share this here because I was struck to the core by the amount of grace that went into this wedding. Not only was the public presentation extremely Gospel-centered, but the whole preparation and understanding involved behind-the-scenes exuded grace from start to finish. Great perspective. It was definitely a grace-filled wedding. Thanks for sharing. Im sorry to hear youre still having headaches, but seeing it as "..a celebration (because) - grace was on display." is truly a thought worth any pain.